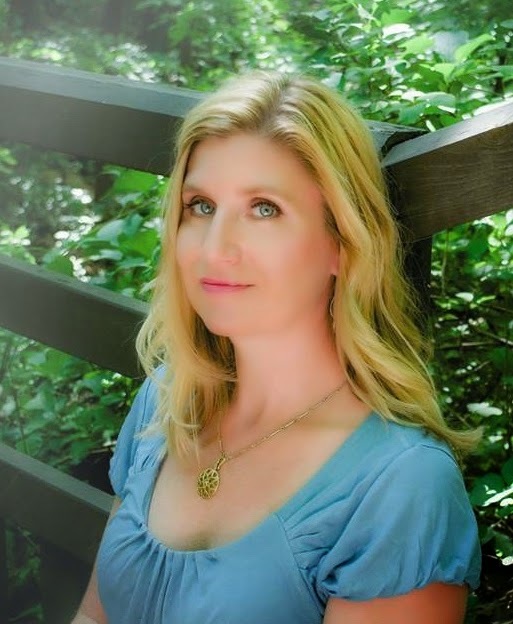 Let's Talk: Fabulous Friday Feature-Jill Kemerer-God Whispered, "But I Like Your Writing"
Fabulous Friday Feature-Jill Kemerer-God Whispered, "But I Like Your Writing"
Mary here. Jill is a sweet friend of mine. I visited her at her house back when she was waiting for a proposal to be accepted. The days flew by for me before she announced her debut release...but for her? Well, I'll let Jill tell you the story. God Whispered, "But I Like Your Writing"
A nagging sensation nibbled as I waited to hear back from the editor who requested a proposal of my first book. I’d been reading blogs where authors shared that it had taken them years to get published. What if that happened to me? Fast forward through two form rejections. I entered a writing contest with my third book and, no, I didn’t final. The judges’ comments were very hard to read. That night, I crawled up to my bedroom, dropped to my knees and sobbed. I totally understand, Jill. I've been here so many times. Why did I ever think I was talented enough to be a published writer? I was clearly delusional, awful, at a preschool level. I felt broken, and I cried, long and hard. Still on my knees, I started praying. I asked God why I had this burning desire to write. I begged for Him to guide me. Maybe I wasn’t meant to be a writer. Maybe I should quit. No one liked my writing, anyway. After that night, I stopped concentrating on getting published quickly and started praying for God to help me become a good writer. I grew humble. I continued studying the writing craft. I prayed daily about my writing. And it took five more years and many, many more rejections before I finally got the call. The two years before selling my first book were depressing and discouraging in ways I couldn’t anticipate, but God got me through them. It’s pretty cool when you can get a devastating rejection and smile because you know God approves your work, even if no one else does. I would never have continued writing without Him. The best part of my writing journey? It forces me to rely on God, to get closer to Him, to depend on Him. I’m so thankful for all those rejections. I truly know I write for God. Are you waiting for your dream to come true? Keep praying! Jill's mom threw a launch party. Besides spoiling her mini-dachshund, Jill adores magazines, M&MS, fluffy animals and long nature walks. She resides in Ohio with her husband and two children. Jill loves connecting with readers, so please visit her website www.jillkemerer.com and find her on Facebook and Twitter. That would be better than awesome! Better bring earplugs. I sometimes snore. I am the blessed one....walking in your footsteps and learning from you. Hi Jill and Mary! Thanks for sharing your journey to publication, Jill. Though I've heard it before in our phone calls and face-to-face visits, I always get so inspired re-hearing it. 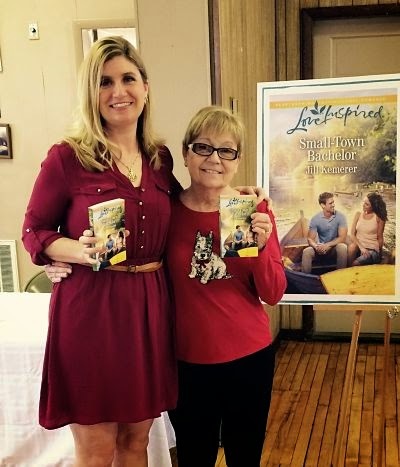 I LOVED reading Small-Town Bachelor and can't wait to read the next one in the series so I can reconnect with the wonderful community you've created in Lake Endwell. I like the plot Jill has for her characters. cll4him(AT)sbcglobal(DOT)net I am going to follow Mary's blog. Thanks for joining us. I have to agree with you that Jill's book is the perfect romance for a read on the beach or by the fireplace on a chilly night. That and the perfect beverage, can't be beat! What I especially like is knowing there will be more stories built on this community. Like so many classic stories that have introduced us to a community and captured our attention for many stories, this series is bound to become a part of our world. I especially like the plot Jill has for her characters, too, because she is writing what she knows and has a heart for. She lives in an area that has had tornados, and know the small community feel. That is why her stories will be so genuine. Hi, Christina, so nice to meet you. *waving* Hi Patrice!!! Thank you so much for all your encouragement!! Christina, it's so true. And I'm amazed at how God surprises us! Mary, thank you again for having me today!! Congratulations Jill on the publication of your first book. I can only imagine the thrill when you received the acceptance letter and the absolute joy when you saw your name on the beautiful cover. Lake Endwell sounds like the perfect place to visit and hopefully, we will have the chance to return there many more times. Continue to write, to talk to God, and to believe in His perfect timing! Thank you Mary for another wonderful author's visit. Thank you so much, Connie! Your kind words warmed my heart! Wouldn't it be nice if we COULD visit Lake Endwell? I would love that!! Thank you!! Hi Jill, I look forward to reading your debut novel. Your path is a special "call" story! All bright blessings! Loved this! I know what it's like to feel down in the dumps after a rejection, and to wonder if you're cut out for the business of writing. My publication journey hasn't been as easy as I thought it would be, but I am glad I realized that I'm writing to show God's love to others in whatever form I write. I know there are people I'm meant to touch through writing, and it will all happen in His timing. I love reading how you humbled yourself and really studied the craft instead of giving up on what God placed in you. Can't wait to read your debut! Welcome. I totally agree with you about Jill having a special "call" story. Knowing her as a friend, I've seen God guiding her awesome journey.